Paula Wallace is the president and founder of the Savannah College of Art and Design. During her tenure, the University has grown to include SCAD Atlanta, SCAD Hong Kong, SCAD Lacoste and SCAD eLearning, and has become recognized as one of the leading institutions in the world. She also oversees the award-winning SCAD Museum of Art and the SCAD Fashion & Film Museum. President Wallace earned her B.A. degree from Furman University, as well as M.Ed. and Ed.S. degrees from Georgia State University. 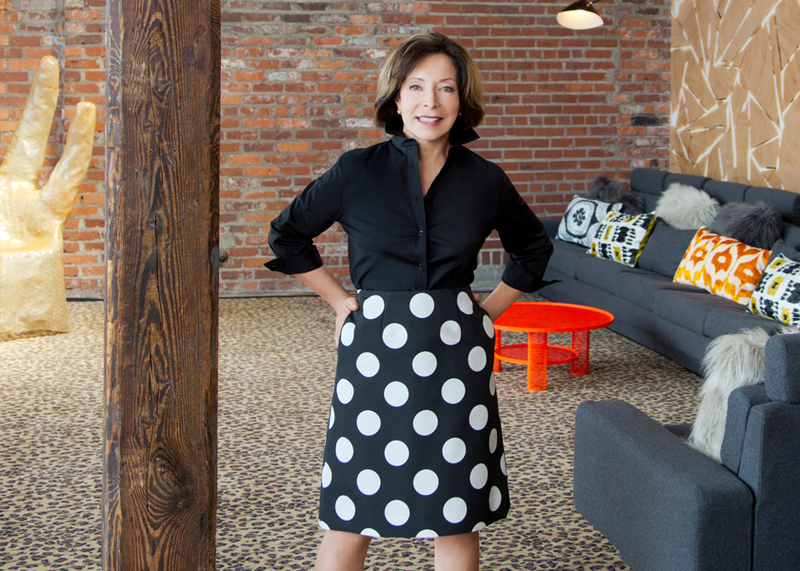 She spoke recently with GDUSA about the mission, the success, and the future of SCAD. GDUSA: Tell us about the SCAD graphic design program? PW: SCAD offers a B.F.A, M.A., and M.F.A. 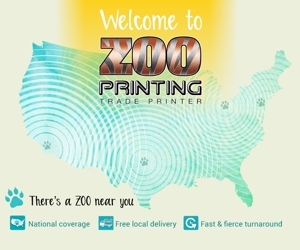 in graphic design at our campuses in Savannah, Atlanta, and Hong Kong, as well as eLearning. It’s one of the largest departments in the world (more than 700 students this fall!) and the only graphic design program where you can study on three different continents — North America, Asia, and Europe (our SCAD Lacoste campus in France is a favorite of our GRDS students). Our graphic design alumni have a 99% employment rate, and they’re at the world’s best companies: Apple, Google, Microsoft, and Gulfstream. We’ve sent GRDS alumni into some unusual careers, too, like working as a cartographer for the CIA, or as a creative at Ralph Lauren. Our grads are perennial winners of awards with Red Dot, International Design, GDUSA, and AIGA. GDUSA: What industry trends are you noticing, across design as a whole and in graphic design in particular, and how is SCAD preparing students to address those trends? PW: One thing I’m noticing right now is the explosive growth of UX design — web and mobile experience, entertainment environments, shopping and event space, as well as hotels and resorts. User experience defines so much of how brands interact with their markets, and these companies are always looking for innovative young UX designers. The pay is high for entry-level designers. We’ve answered this demand by focusing on our SCADpro initiative, where students work directly with big companies like Coca-Cola, Disney, and Uber — before they graduate. The results have been enormous. So far SCAD students, including hundreds from GRDS, have worked on more than 200 real world, high-stakes design briefs with 333 companies. Some 187 SCAD students have been hired by companies like Adobe and Samsung before graduation — including Amy Chang, who as a SCAD student helped design the global rollout of new uniforms for Delta Air Lines. Delta loved Amy so much they hired her to travel the world making sure the rollout was flawless. Now she’s a designer for Delta. GDUSA: How did you become interested in art and design education? PW: All my life, I’ve loved art, design, and education. I’m a classically trained pianist, so I think from an early age I was attuned to patterns and structure — visually, aurally, and conceptually. My mother was a teacher, and teaching was my first career in the Atlanta public schools. Early on, I noticed you could teach students more effectively if you create an engaging mode of learning. I also noticed that layering the learning — history, writing, drawing, storytelling — makes the most of those all-too-brief class sessions. We’re born with a natural love of color, space, drawing, doodling, shaping, and pattern finding. But as education progresses, the imagination is often viewed as a mental playground, an unserious form of inquiry and development. We at SCAD know differently. Our mission is to prove that the imagination provides a pathway to successful, sustainable careers, where graduates earn a good living and contribute to their firms, their colleagues, and their communities in meaningful ways. Our 99% employment rate speaks for itself. GDUSA: What skills are most important to teach college students these days? PW: Beyond the mastery of technical skills — understanding how to use your industry’s software and tools — two critical skills for designers, so often overlooked, are the ability to research and to tell stories. Ideas don’t just fall into your mind. You have to seed the soul! SCAD privileges the habit of research: We teach our students to love the library, to read and observe and investigate, to prime the pump of the imagination with the best that’s been thought and said. We also know our students must know how to enchant their clients and audiences with stories. Research helps with that. You have more to say when you’ve done your due diligence. 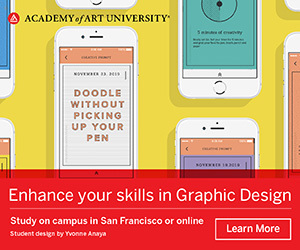 SCAD wants to cultivate deeply attentive designers. Those skills — research and storytelling — are important not only at university but in one’s career. In the digital age they’re also increasingly rare.